Lisa Brown has over twenty years of experience in nutrition counseling. Prior to forming Brown & Medina Nutrition, she was a senior dietitian at Joy Bauer Nutrition in NYC. Lisa has held many different roles over the years complementing her private counseling practices including providing insights and expertise on advisory boards, participating in research studies conducted with other medical professionals, spokesperson work for a brand of baby food that launched in the US fall 2009, technical editing of books relating to the treatment of eating disorders and frequent lecturing before a range of audiences. Lisa has been featured in national publications and on national TV and Radio. Lisa is proficient in counseling individuals and families with a broad range of needs. However, at this time in her career she primarily works with individuals struggling with eating disorders (as well as with their family members during this very challenging process) and their treatment team providing nutrition therapy/treatment. 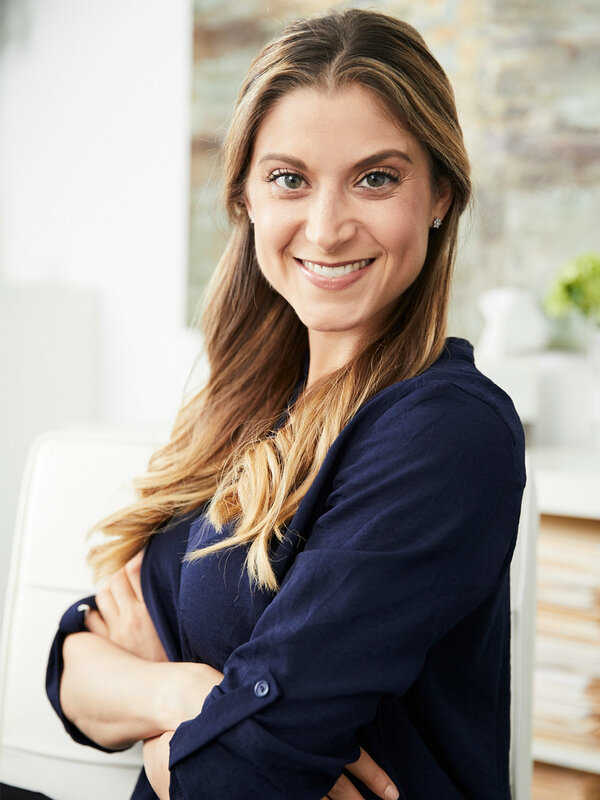 Lisa also works diligently on the prevention of eating disorders in all populations using very specialized approaches to weight management, medical nutrition therapy and general nutrition counseling. Lisa resides in Westchester, New York with her husband and their two children. Jennifer has over twenty years of experience in nutrition counseling. Prior to forming Brown & Medina Nutrition, she had been a senior nutritionist with the private practice Joy Bauer Nutrition in NYC. There she honed her clinical and counseling skills working with a diverse population as a pediatric nutritionist, certified diabetes educator, eating disorder specialist for children and adults and specialist in gastrointestinal disorders. Over the years she has complimented her private practice with roles as an insulin pump trainer for Animas/Johnson & Johnson; a dietitian at NYU Langone Epilepsy Center educating families in the ketogenic diet; a personal trainer. She has been featured on national TV and has been both a contributor and technical editor of books regarding the treatment of eating disorders and diabetes. She is also a frequent lecturer in New York City schools as well as corporations. Jennifer continues to treat a broad range of individuals with a concentration in the treatment and prevention of eating disorders in children, adolescents and adults, weight management, diabetes education and the treatment of gastrointestinal disorders. Jennifer graduated from Columbia University with a Master's of Science in Nutrition and Applied Physiology (exercise physiology) and graduated from New York University with a BS in Nutrition and Dietetics. Shara Wagowski graduated from Syracuse University with a Bachelor of Science in Dietetics. She went on to complete her dietetic internship at New York-Presbyterian Hospital followed by a fellowship in pediatric nutrition at Morgan Stanley Children's Hospital. Prior to joining Brown & Medina Nutrition, Shara was a full time clinical dietitian at NewYork–Presbyterian Hospital gaining experience caring for a wide range of patients in both the adult and pediatric populations. She went on to provide medical nutrition therapy in the ambulatory setting for the division of pediatric gastroenterology at the New York-Presbyterian Hospital Phyllis and David Komansky Center for Children's Health. Shara is a Board Certified Specialist in Pediatric Nutrition (CSP). Shara works diligently with the parents and caregivers of her patients to implement dietary recommendations and improve their overall nutritional status. Shara frequently lectures and runs workshops in both public and private schools on general nutrition and Picky Eating. General pediatric and adult nutrition including weight management and Pre & Postnatal nutrition. Treatment for picky eating, failure to thrive/poor weight gain, nutritional treatment of ARFID (Avoidant Restrictive Food Intake Disorder) and food allergy and intolerance. Gastrointestinal Disorders (Irritable Bowel syndrome, Crohn's disease, celiac disease, gastroesophageal reflux disease, gastroparesis, eosinophlic esophagitis, malabsorption and gastrostomy tube feeding management) and the diets that help in their treatment with a proficiency in the FODMAP elimination diet and Gluten Free Diets. Colby Golder has provided nutrition therapy since she received a Master's degree in nutrition from Columbia University in 2009. As part of her clinical training in dietetics, Colby worked at the eating disorder unit of the New York State Psychiatric Institute. There, she was part of a multi-disciplinary team that focused on the research and treatment of eating disorders at the inpatient level of care. More recently, Colby worked at the prestigious Renfrew Center for eating disorders in NYC. There, Colby was involved in every level of therapeutic care including the day program, the intensive outpatient program (IOP) and individual nutrition counseling. She gained vast expertise in the treatment of anorexia nervosa, bulimia nervosa, binge eating disorder/compulsive overeating, compulsive exercise, and other forms of disordered eating. She routinely ran weekly groups focusing on nutrition education, the management of therapeutic meals, and post-meal support therapy. Currently, in addition to her work at Brown & Medina Nutrition, Colby is on the eating disorder team at Columbia University Health Services and provides nutrition counseling at Columbia University Medical Campus Health Services. The treatment and prevention of eating disorders in children, adolescents and adults. Prescribing therapeutic meal plans to meet the individual needs of patients for eating disorder recovery. Family nutrition counseling for eating disorder support. Nutritional therapy in the treatment of eating disorders. Non-diet approach to weight management. Adena Neglia grew up as a competitive figure skater. She skated for 14 years as both a regional and intercollegiate national competitor, competing on the University of Delaware Figure Skating Team. She coached figure skating for several years and trained skaters during their off-ice training sessions. In 2006 and 2007 she was Collegiate Figure Skating National's Silver Medalist and in November 2008 she received the Gold Medal for the United States Figure Skating National Moves in the Field award. In her efforts to optimize her diet for competition she developed a great interest in the study of food and nutrition. This interest combined with her love and passion for food was a natural progression toward the study of nutrition and dietetics in college. Adena graduated from Long Island University with a Bachelor of Science in Nutrition and received her Master's degree in Nutrition Education from Columbia University. Her thesis topic focused on designing a nutrition education program for bodybuilding competitors and their coaches. In addition to working at Brown & Media Nutrition, Adena is the senior dietitian at Mount Sinai Hospital in their outpatient nutrition program where she provides counseling for both pediatric and adult patients. She covers several clinics there as well including nephrology, hematology, oncology, cardiovascular disease and general medicine. Adena has written nutrition articles for publications that include Life and Style, Access Hollywood, Teen Vogue, and People Magazine and has also appeared on NY1. At Brown & Medina Nutrition Adena works with all of her clients diligently along with their parents, other caregivers and coaches (when appropriate) to implement dietary recommendations and improve their overall nutritional health and potential. Sports nutrition for all types of athletes. Medical nutrition therapy specifically in the areas of nephrology, cardiology, GI (Gastrointestinal disorders), Diabetes management and hematology/oncology. Working with individuals in specialized fields such as models and dancers providing safe and sustainable meal planning.